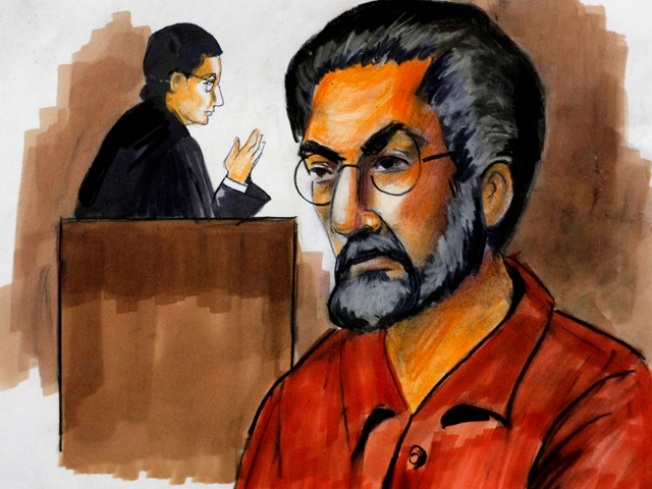 In this Wednesday, Dec. 2, 2009 file courtroom sketch, Chicago terrorism suspect Tahawwur Hussain Rana, appears before federal Magistrate Judge Nan Nolan, in Chicago. Federal prosecutors say Rana knew in advance about the deadly Mumbai terror attacks, and offered congratulations to the killers. A Chicago man charged with laying the groundwork for deadly November 2008 terrorist attacks that killed 166 people in India must not be freed on bond because he faces a possible life sentence, prosecutors said Friday. Businessman Tahawwur Hussain Rana was already facing a possible 30-year sentence for his part in planning attack on a Danish newspaper whose cartoons were offensive to much of the Islamic world. 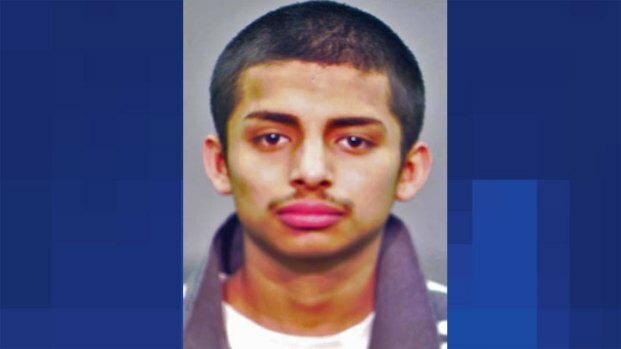 Prosecutors said he was all the more likely to try to flee because of the additional charge. Now facing an even greater punishment, that incentive is only heightened," federal prosecutors said in court papers filed with Judge Harry D. Leinenweber. The planned attack on the Jyllands-Posten newspaper never took place despite extensive preparations, federal prosecutors say. On Thursday, Rana became one of four men indicted in Chicago on charges of helping to lay the groundwork for the murderous 2008 attacks in Mumbai, India. Federal Magistrate Judge Nan Nolan already denied his motion for bond. The issue now goes before Leinenweber, who has not set a date for a hearing on the motion.